Despite the US government choosing to deem the AI-powered computers of Google’s autonomous cars to be responsible for actions, the precedence of the past states otherwise. On February 9, 2016, the Federal agency of the United States of America set out road rules within the National Highway Traffic Safety Administration, that deemed the driverless computer system residing within the autonomous cars of Google’s parent company, Alphabet, to be equivalent to a driver. This was a crucial judgement in favour of Alphabet, giving it the nod to the driverless cars that it has been testing on road, around Mountain View, California, for a while. Autonomous cars have been incredibly cautious, until now. Stacked with proximity sensors and machine learning techniques that lend autonomous vehicles the ability to “learn” roads as they traverse, the autonomous cars have been modeled typically on a human driver’s factors of experience and improvisation. With time, it is expected to gauge roads, recognise turns, potholes, speed breakers, traffic signals and even proximity to other beings and vehicles. As it learns, the autonomous mechanism is expected to hone its driving skills the way a human being does, relying on GPS and the array of sensors to improvise shortcuts, accelerate when there is scope, and take actions as necessary. This, however, is a plan for the long term, and Alphabet is working on refining its cars. Soon after the federal law presented the autonomous cars with their driving licenses, one of them became the causing factor of an accident when it bumped into a public bus in process of changing lanes. 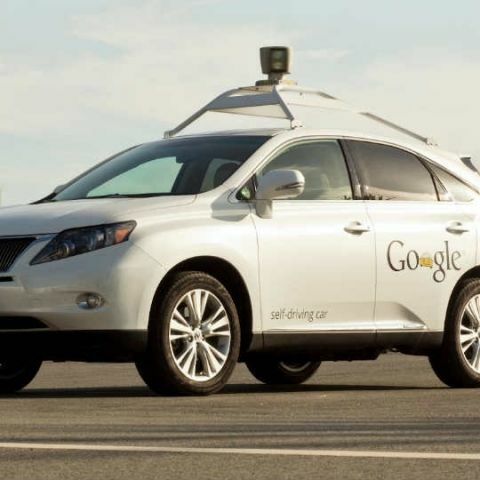 Until this, the autonomous cars had been involved in a dozen-odd accidents, being rear-ended by other cars. In another incident, it has also been pulled over by the police for jumping a traffic signal. Not that it was in a hurry, it probably mis-recognised the signal. These puts into perspective an important thought, going into the future of autonomous living. Will AI-powered computers ever truly take over a chauffeur’s role? Taking into account the efficiency of machines in calculations, the factor of rash driving may be majorly averted with autonomous cars taking to the roads. However, the occasional lane-changing accident or a fault in sensor relays is not only a probability, but near certainty. What happens then? For one, even if we can program improvisation of routes and driving skills into machines, one crucial aspect is impossible to inculcate - an element of caution and fear, or emotion, in brief. A major factor of imposing road safety rules is to ‘caution’ drivers of the consequences of rash driving or bending laws. Machines, in this case, stand far, far away from being impacted by caution, or being struck by fear of having to spend a night in prison. You may ban the car itself from the streets if it creates too many accidents, but that will possibly not help the structure of penalties and functioning that exists now. "Rather than being completely autonomous, these cars may prove to be a helpful assistant to humans"
So, will cars become truly autonomous, one day? It is certainly possible, but will not bring Jarvis into being, to put it in one way. Facts of precedence come into consideration here. Take a look at 1950’s Frye v. Baskin case in the United States, where a car owner’s son took his Jeep out with his date. During that time, he asked the lady, who did not know how to drive, to take the driving wheel. John kept instructing her to take turns, shift gears and so on. In a moment of miscommunication, the Jeep drove into an accident. The owner filed a case against the lady, in which the court did not find her guilty. The reason was that, as she did not know how to drive and only took the wheel upon her date’s request, the owner’s son was considered guilty in the accident, as he was truly the driver. While this was the first of a kind judgement passed, it paved way for a number of judgements following up in time. This (somewhat) lends perspective to the future of autonomous cars. While the computers may be deemed as being in charge of the wheel, it is down to human improvisation and immediate action that charges are considered. In a country like India where the roads are as chaotic as anyone can imagine them to be, the deciding factor for the future of automobile progress may find this to be a crucial pivot. The potential is immense, and as the Pathway to Driverless Cars Summary, Department of Transport, UK, puts it, "They will make driving easier, allow people to be more productive and offer greater mobility to a wider range of people than ever before. They will also help improve road safety, reduce emissions, and ease congestion. As a result they could provide significant economic, environmental and social benefits, including improving social inclusion." Autonomous driving, from what it seems to be now, can be a powerful assistant to humans, giving us an option to take our hands off the steering wheel when the roads seem easy to navigate. Deeper down, many of us would be wary of such technology, at least initially. 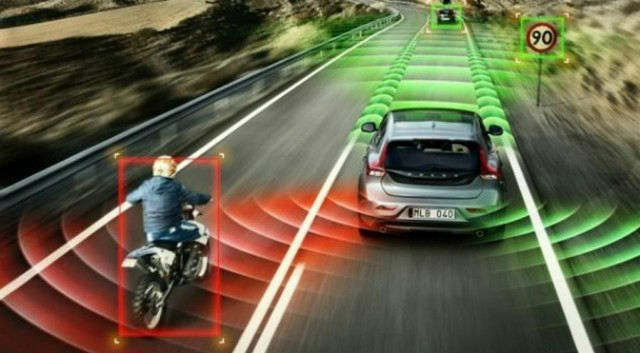 A sense of paranoia rising from the fear of machine failure is the root cause of this, restricting the rise of autopilot in commonplace automobiles. how can I set password to a power point file?